The PM Sequencing Cards Early Years Box Set enables students to tell their favourite PM stories in their own words. The textless cards in each box introduce children to the structure of stories by focusing on a beginning, a middle and an end, and retelling a narrative in a sequential story. The featured CD-ROM can be used as a whole-class activity on the interactive whiteboard, in small groups or individually on computers. Teaching notes that explain how teachers can use both the digital cards and the cards in the box is also included. 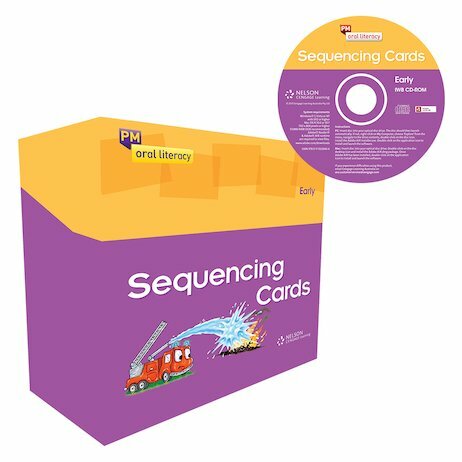 The PM Sequencing Cards Early Years Box Set consists of 10 sets of sequencing cards ranging from Levels 3-5 (five cards per set).